We love when our fellow SURE FOOTers take the time to experiment with their horses, jot down their thoughts and send us a note. 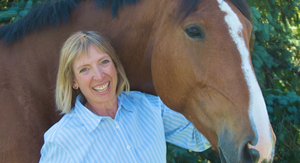 SURE FOOT is for the horses, and together we can collaborate and explore new ideas to make this program an even bigger success for our equines! Here’s a note from Jeanne, who purchased her SURE FOOT pads and DVD at the Horse World Expo in Maryland in January. Enjoy! “My friends, Janet and Robin, and I were there to see you at Timonium, and we each bought a set of pads. You’ve heard from Robin already about her experience with them. I wanted to share the most fascinating parts of Janet’s and my experience. Let me start out by saying we are all thrilled with what we’ve seen thus far. Zimba (11 yr old Lusitano gelding). First time with the pads, Janet put his front foot on one pad. In a matter of seconds, Zimba reached out with his other front foot and pulled the second pad closer and stood on it all by himself! (I’m so amazed at that.) He stood on both pads for about 5 minutes, then calmly walked off. Tambore (14 yr old Lusitano stallion). First time with the pads, Janet put his hind foot on one pad. Tambore immediately picked up his other hind foot and put it on the same pad. He did not move after that for about 5 minutes. In the spirit of full disclosure, I have to tell you that I think Lusitanos are particularly intelligent (quick to learn) and sensitive — but these two surprised even me! It’s like they knew instantly that these pads would help them. 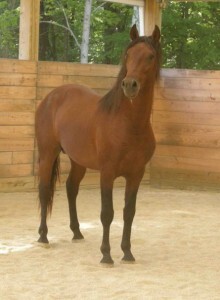 Fizzle (21 yr old Paint gelding). A little background on Fizzle: I’ve had him since he was 9 months old. He has always been very emotional and gets highly reactive when stressed — to the point of being catatonic and then blowing up seemingly without warning. Over the years I have learned how to read the signs of his stress and have done my best to keep his life as peaceful as possible. I now believe some of the problems are/were caused by physical discomfort in his withers/shoulder area — I’ve had lots of body work done on him over the years (including several sessions with Joyce) — and I stopped riding him about 8 years ago just to keep both of us from getting hurt. But he still has “issues” that manifest in some strange behaviors — one of the most persistent is rushing thru gates, no matter how slowly and quietly I try to help him get thru them. The first day with the pads, I managed to get all 4 feet on them but he was tight as a drum for about the first 10 minutes or so — his breathing was shallow and his body was tense (standard Fizzle behavior in new situations). But after a while he started to relax — his head lowered, he started to breathe regularly, and eventually we got some blinking and licking/chewing. I think he stayed on the pads in one way or another for at least 15 or 20 minutes that first time. And he stayed relaxed as I turned him out in the field. The most amazing thing to me though is that since then he has shown a remarkable improvement in his ability to handle going thru gates. He walks thru now and even though he still goes a little faster than necessary when turning to get his halter off, he is at least 80 to 90 percent better than he’s ever been. This to me is nothing short of amazing. I have worked with this horse for 20 years, trying to keep him calm and rational. The pads worked a small miracle for us in less than 30 minutes. Zeke (11-yr old Lusitano gelding). I don’t think Zeke’s initial reaction to the pads was anything particularly unique. 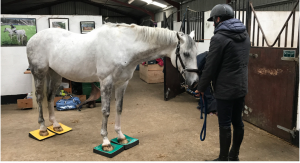 His second time on them however (a few days later) he wanted half his foot on the ground, half on the pad. That was for both front feet. Even when I picked each foot up to adjust it fully on the pad, he immediately repositioned it to be half on the pad, half on the ground. And he started yawning immediately — great big yawns with his head down to his knees — but it all lasted less than a minute, at which point he walked off. The message was clear — he had gotten what he needed and he didn’t need to be there anymore. The most impressive thing to me is the residual effect of the time on the pads … the horses are calmer and more content for weeks afterward. I am the most happy about that. February 9 update: While trimming Zeke’s feet this afternoon, he was going thru his usual routine of messing with me — pulling his feet away, not standing quietly for very long — just making things more challenging than they needed to be. I have a bad knee so I can’t get completely under the horse to trim  holding the foot with one hand while rasping with the other makes things more difficult. So I decided to try the pads for a bit. I put the green ones under his back feet. He would not stand squarely on both at the same time — he cocked one toe for about 2 minutes and then switched to the other. This lasted a total of about 10 minutes at which point he just calmly stepped off them, as if to say that was enough — he was through. So I went back to trimming, and the difference in him was wonderful. His legs/feet were much lighter to hold, and he stood much more quietly. The pads are going to be a part of my routine now before I trim any of the horses — what a gift! You spoke with my friend Linda a few days ago, and she ordered a set of pads and some other things. 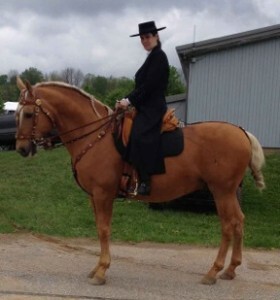 The following day I took my pads to show her and we tried them on some of her horses. 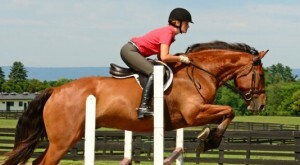 She has one gelding who has some emotional issues — not as extreme as Fizzle, but he can be challenging all the same. The horse stood so quietly on 4 pads for the longest time, and periodically he reached around to thank me — and at one point I even got a hug. Very touching. Want to tell us about your SURE FOOT experience? Email us.